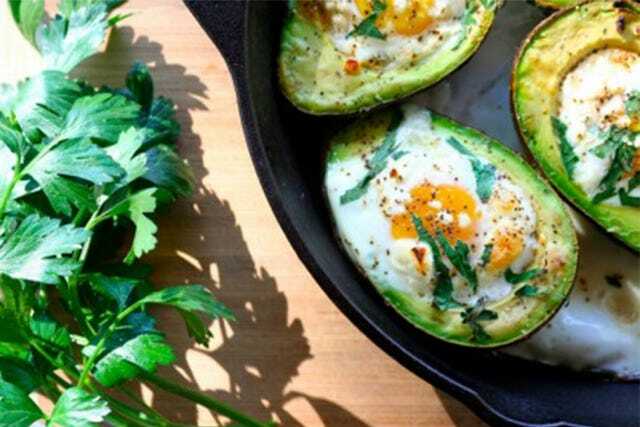 The concept for this recipe is far from complicated: Bake an egg in an avocado. Meaning, if you were looking for a way to put all those eggs from your backyard chicken coop to use you should certainly put this recipe on the breakfast list. RELATED: These Apple And Date Scones Are Delish And Gluten Free! Optional: You can garnish the egg with anything you want. Basil is a good place to start.